Patch 8.24 is going to be a big one! It’s an exciting time for year to be a League of Legends player, as preseason usually brings about a litany of cool changes. It’s Riot Games’ annual chance to break the game without too many repercussions. The changes made each preseason are critical to pushing the game forward, keeping it fresh, and making it even more fun to play in the year to come. 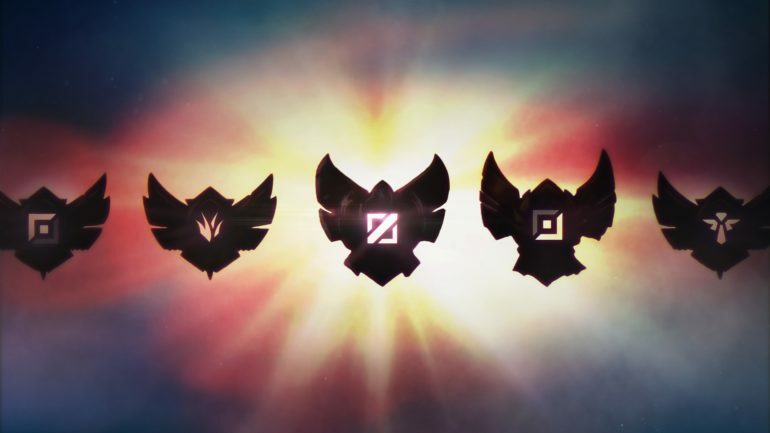 This preseason, one of the targets for an overhaul is League’s ranked system, the highest form of competitive matchmaking available in the client. Big tweaks will drop tomorrow in Patch 8.24. Here’s what you need to know about all the cool things that are happening to ranked. The first new thing deals with how players receive their rank at the beginning of the season. Players will receive a provisional rank that only they can see after their first placement game. This contrasts to the old system that required you to finish 10 games before receiving a rank. After the first game, players will gain LP for wins but will not lose LP for losses. There is no ranked reset in preseason, so the only way to test this is with an unranked account. There’s now a tier lower than Bronze. That’s good news for some of us, but bad news if you’ve been stuck in Bronze V forever. Iron tier will be inserted below bronze. Isn’t iron better than bronze though? Grandmaster tier will be inserted between Master and Challenger. This will help alleviate placement issues between high Diamond and Challenger. Division V will be removed from all tiers—you now only need to be promoted four times in a division before you’re able to move up a tier. All players currently in Division V will move up to IV. Master tier players will be set to 0 LP. Grandmaster tier will be locked for a week and Challenger tier will be locked for two weeks before players can promote into them. A new system requires new swag. A new visual, called ranked armor, will reflect your current rank across your profile, hovercard, game lobby, and loading screen. All of these are exciting changes to the game. So get out and start testing them tomorrow so you’ll be ready when the new ranked season begins in January.